S3E3 – The Lost Mines of Phandelver Pt 3: Cave Inspector! When we were last with our heroes, they just dispatched an ambush of goblins. 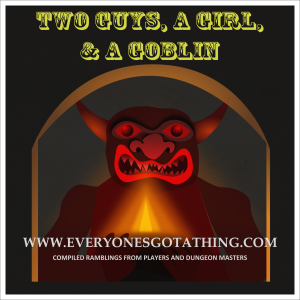 This week, they head out in search of where those goblins came from, and their friend Gundren Rockseeker. Also, Peach carries some little people.